The Mauser Group, headquartered in Germany, recently introduced a packaging call skINliner™ that it claims to be a barrier technology that combines the advanced barrier performance of multilayer plastic film technology (e.g. against hydrocarbons and/or oxygen) with the logistical and lifecycle benefits of rigid packaging. The new modular packaging design provides best-in-class reuse and recyclability. When, for example, placed in a Rigid Composite IBC, the MAUSER skINliner™ is applied like an inner skin to the IBC’s inner receptacle. It is semi-permanently fixed to the inside of the rigid bottle and therefore no longer subject to any intensive mechanical stress during filling, handling and emptying of RIBCs. The same applies to other packaging types like plastic drums. The new skINliner™ barrier technology has gained full UN-approval for dangerous goods and enables MAUSER to expand its comprehensive IBC product offering. In comparison to known blow-molded multi-layer EVOH-barrier IBC bottles, the MAUSER skINliner™ barrier IBC provides the same functionality with less material. Moreover, it adds barrier functionality to large volume packaging like IBC bottles where it is needed most – closest to the filling good on the inside of the container. The new MAUSER skINliner™ adds a new level of modular design to rigid industrial packaging. It allows customizing advanced features like barrier functionality or light protection within standard industrial packaging in the most effective way. Positioned inside of the container and closest to the filling, it not only protects the contained material but also prevents the migration of substances to the container wall. Easily to be removed and separated from the IBC bottle, it enables mono-fractional recycling of non-contaminated polyethylene IBC bottle material. 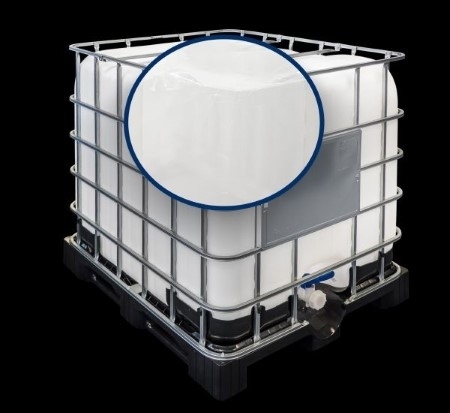 Consistently designed for reuse and most effective material recycling, the MAUSER skINliner™ IBC incorporates state-of-the-art barrier performance without any compromise on the container material recyclability. This is why it represents future-oriented innovation in industrial packaging for a circular economy.